Powered by an air-cooled, Tier 4 66-hp (49-kW) Deutz® diesel engine, the JT10 is the most powerful drill in its class, and provides operators with an easy-to-service engine for lasting performance. With the combination of 10,000 lbs (44-kN) of pullback force and a standard, 16-gpm mud pump, it also offers advanced power and better mudflow, allowing operators to efficiently complete larger-diameter reams on smaller jobs. The drill is equipped with an onboard, 40-gallon fluid tank, providing additional fluid during short bores and easy cleanup while on the job. 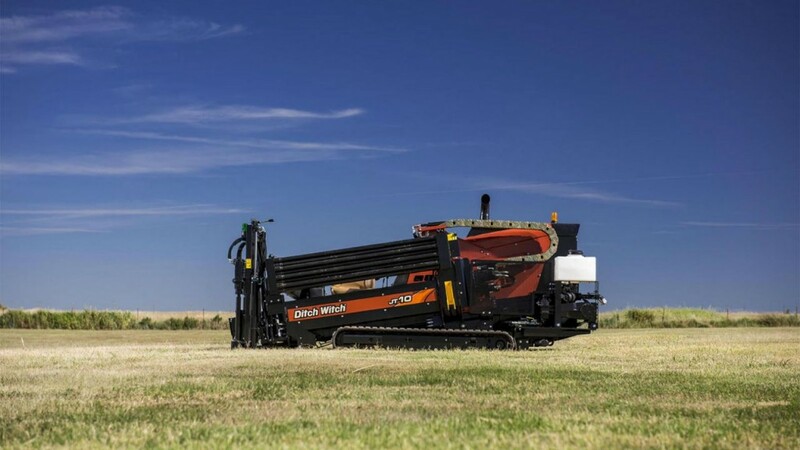 And with a class-leading, onboard drill-pipe capacity of 324-ft and quicker cycle times than its predecessor, operators can install more pipe in the ground and faster. The JT10 also features an ergonomic operator station with a traversing seat that positions the operator in the center of the pipe rack for easy-to-reach pipe handling and greater comfort for long hours on the job. Operators can increase performance with the drill’s advanced display that provides a clear, direct view into operational and engine diagnostics. Single joystick controls for thrust and rotation allow for smoother operations, and leaves operators a free hand to focus on other tasks, including mudflow and jobsite communication.